The Longboard Travel Guide is the first surf guidebook written specifically for longboarders. Loaded with mouth-watering lineup photos, the book describes 100 of the best waves in the world for loggers and offers insider tips on how to ride them. From the Maldives to Australia's Gold Coast, from Costa Rica to Fiji, from Samoa to Sri Lanka, all the classic destinations are here. A smorgasbord of less-well known areas are also included for adventurous surfers who thirst for uncrowded waves. This book covers every aspect of surf travel for longboarders: where to go, where to stay, what gear to take, how to get in shape for your trip and how to stay healthy abroad. Longboarders of all ages and abilities will benefit from the practical advice offered by a writing team of seasoned travelers and pros. Whether you're thinking of doing a road trip in Australia, a coldwater exploration trip in Iceland, or a boat trip in Indonesia this books has plenty to soak on up. A selection of real-life traveller's tales illustrate the pleasure and pain experienced by loggers searching for the elusive perfect wave, and the joys and frustrations of life of on the road. 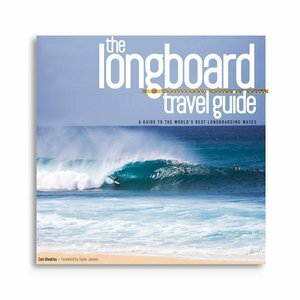 The Longboard Travel Guide features more than 200 color photos by some of the best photographers in the business including Chris Burkard, Alan van Gysen, Simon Williams, Tim McKenna and John Callahan.This book also includes a comprehensive directory of travel resources where readers can find information about the best surf camps, travel agencies and operators around the world. Packed with sublime photos, up-to-date info and real-life traveller's tales, The Longboard Travel Guide is the essential handbook for all longboarders who yearn to find perfect waves.